Lockport High School teacher and coach Todd Elkei was recognized by the PepsiCo Showdown and Buddy's HELPERS on Thursday. 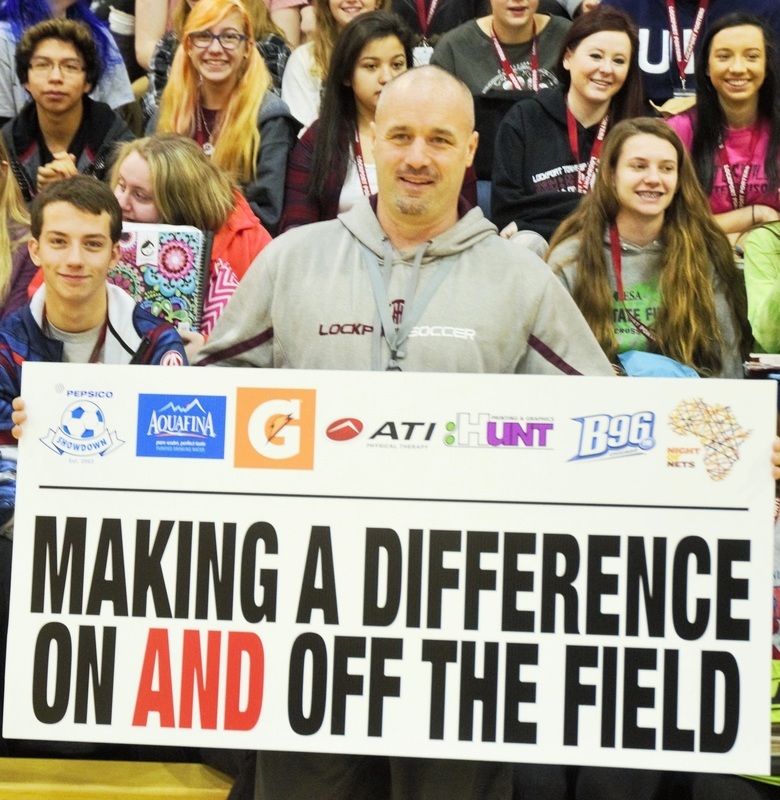 Lockport High School's Todd Elkei was honored for his work with high school students and athletes Thursday by the PepsiCo Showdown and Buddy's HELPERS. The veteran physical education teacher and soccer coach has worked with thousands of students in the south suburbs during his career at Crete-Monee (1996-2002), Homewood-Flossmoor (2002-2010) and Lockport (2010-current) high schools. In recognition for his efforts, Elkei received tickets to the Bruce Springsteen concert Sept. 19 at the United Center from the organizations. The surprise event was part of a Chicago-wide recognition campaign for student-athletes and teacher-coaches who are "Making A Difference On AND Off The Field." In December, seven students from Andrew, Sandburg and Whitney Young high schools were honored for giving back through community service. On Monday, retiring teacher-coach Brian Papa, of Lincoln-Way East High School, was recognized.